Built in 2013, 2000 Ellis St. is home to 21 residences in the Anza Vista neighborhood, right next to the Western Addition. Notable features in the building include nine-foot ceilings and a sleek, modern design. Home sizes at 2000 Ellis range from just under 600 square feet up to about 760 square feet, with penthouse units measuring about 1,400 square feet. Homes are available in one-bedroom layouts. Building amenities include a roof deck. A sleek and futuristic addition to the Western Addition neighborhood, it blends in remarkably well given it’s modernist design in an area known for Edwardians and Victorians. Homes have one car parking in an enclosed garage. 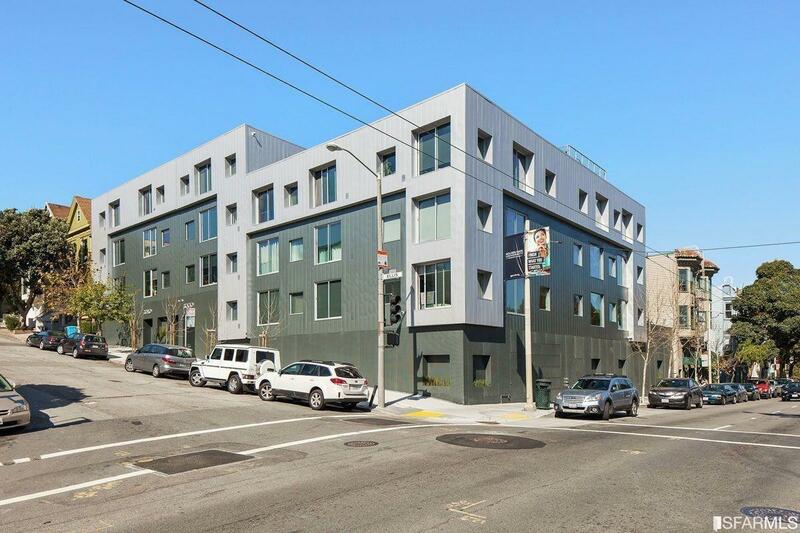 Right next door is 2020 Ellis, while the District is perhaps the nearest newer building, and 1515 15th in the Mission is another Stanley Saitowitz designed development. The District | 2655 Bush St.